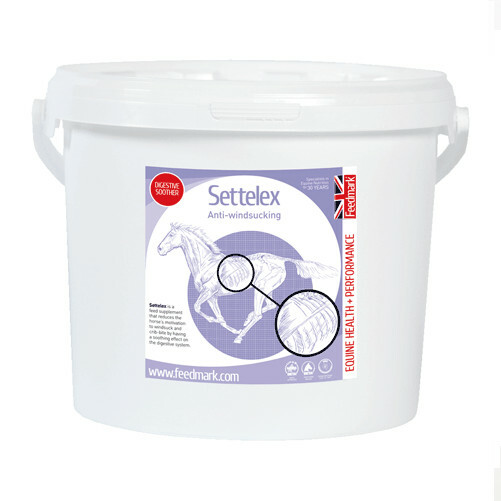 Settelex is designed to soothe the digestive system to maintain healthy pH levels. The special formulation is designed to assist with undesirable oral behaviour. PLEASE NOTE- This product can take up to one month to be delivered. This supplement is ideal for any horses or ponies exhibiting undesirable oral behaviours. The recipe consists of calcium carbonate and magnesium to help promote a healthy level of acid in the stomach; it also has aluminium hydroxide to help maintain the stomach mucosa and pH levels. For best results it is advised to feed twice daily or a maximum of three times per day.